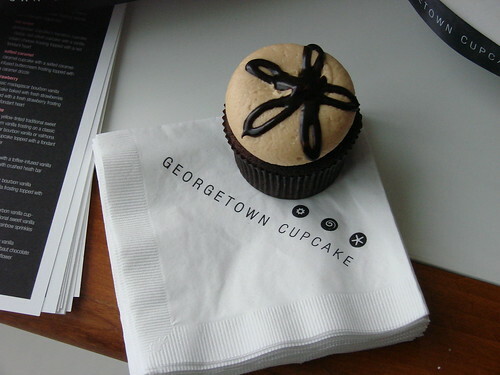 While picking up our tickets we snacked on Georgetown Cupcakes in the media hospitality lounge. Mmmm...chocolate peanut butter. 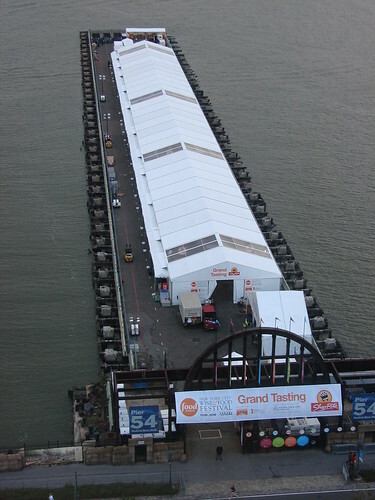 From the 16th floor of The Standard Hotel we could see the staging area being set up for The Grand Tasting. Dang that's a big tent! Many of the tickets for this weekend are already sold out (and sold out within hours of going on sale, so be on alert for next year!). You can see which events are still available on their site. And for all ya'll twitter fiends, I'd recommend following festival director Lee Schrager. He's been giving a great play-by-play of the festival and if more tickets get released at the last minute, that's your best chance for finding out. 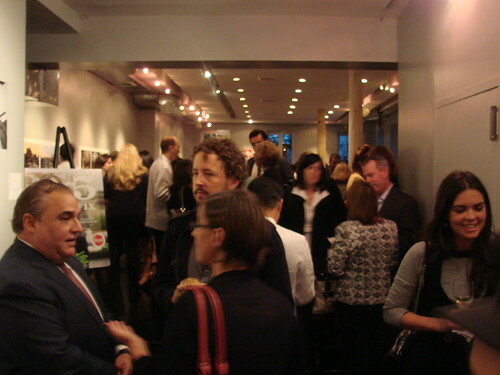 100 percent of the net proceeds from the New York City festival directly benefit the hunger relief organizations Food Bank For New York City and Share Our Strength, so it's a win-win. Mangia!